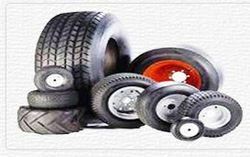 Due to our affluent industry acquaintance, we offer CEAT Car Tyre. In addition, quality inspectors check this product on varied industry norms to ensure the top features. Your premium SUV is designed to take you through the most challenging and unexplored terrains. Why shouldn't your tyre be designed for the same Czar Sport with its distinguished looks, matchless performance, and complete control over wet and dry terrains makes your drive an adrenaline rush. So give your SUV the Czar Sport advantage! Backed by a team of experts, we are offering our valuable clients a comprehensive range of Ceat Tyres. Our product CEAT Tyres are the largest assortment of tyres in the industry. We deliver a flawless assortment of these Tyres. 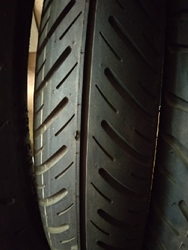 Our tyres are largely used in giant earthmovers, cars, scooters and motorcycles.